Rarely do we use these pages to launch a new product, but this little monitor arm is simply brilliant. Held in stock and available in the same finishes you expect from us which includes white, silver & black. 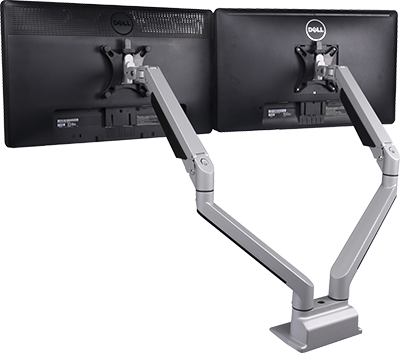 These monitor arms were pre-launched in early August as part of our ePartner newsletter and we have successfully delivered over 2.5k of them already. 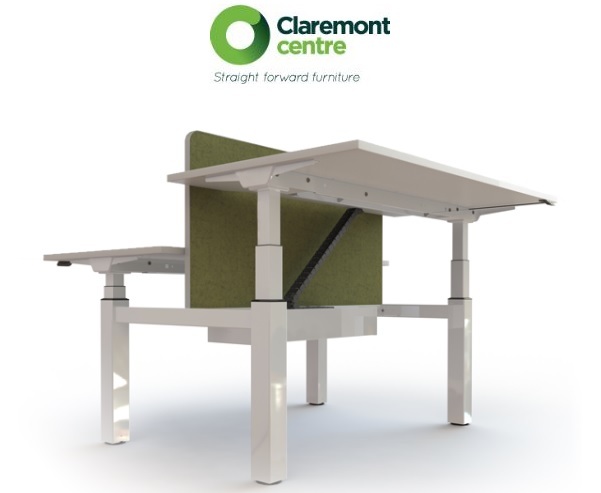 Apart from the obvious ergonomic benefit which includes: the ability to adjust the height, depth & angle of your monitor to get it at the healthiest and most comfortable position for you, in the agile work environment this is essential. And for those that don’t know, you should have your monitor at approximately your arm’s length away from your eyes, with the top of the monitor tilted slightly away from you. You shouldn’t have to move your head to look up or down to see your screen, and your neck should be relaxed. This will help you avoid neck and eye strain as well as shoulder pain and poor posture. Monitor arms are great for keeping your desk clear. Desks are getting smaller, with the most regular size top we sell now 1400mm wide the real estate on a desk surface is reducing, my lifting the monitor mount away from the worktop you have more space to spread out. 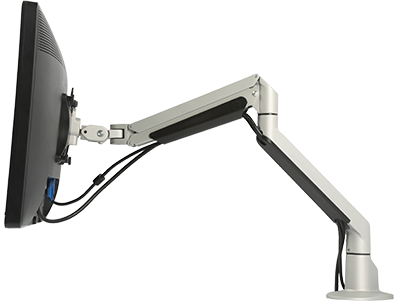 Our monitor arms give the user great flexibility but better still, they are easy to install too. 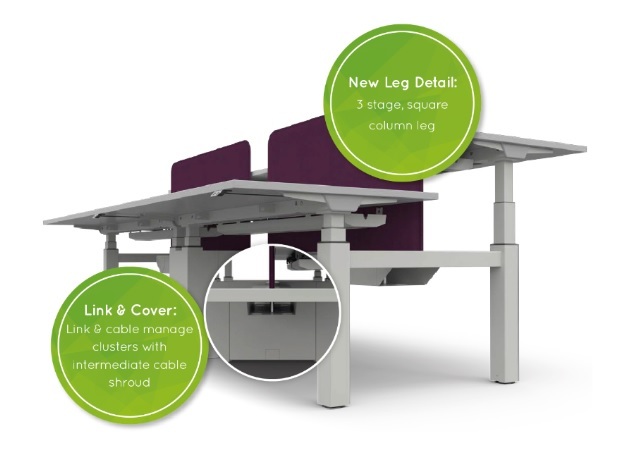 There will be no crawling underneath the desks, fixed from above with a shallow base exposure means they are well suited to desks that have a high cable management requirement or a need to retrofit with disturbing previously installed items.